This washi card is approximately the same size as a business card and measures a little over 2" wide by a little over 3" tall. 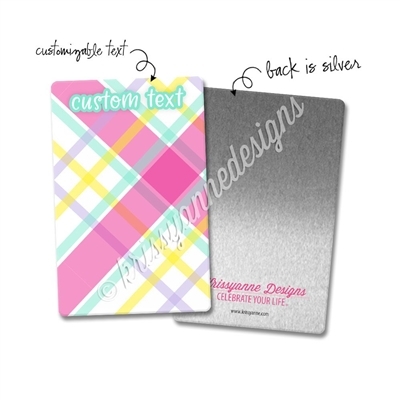 This washi card features a fun plaid design that coordinates with our February Plaid collection. Along the top, you have the option to customize your text. Please note that while we do not impose character limits on your washi card, longer strings of text will be printed smaller to allow it to fit on the card. Please note that colors may vary from monitor to monitor. 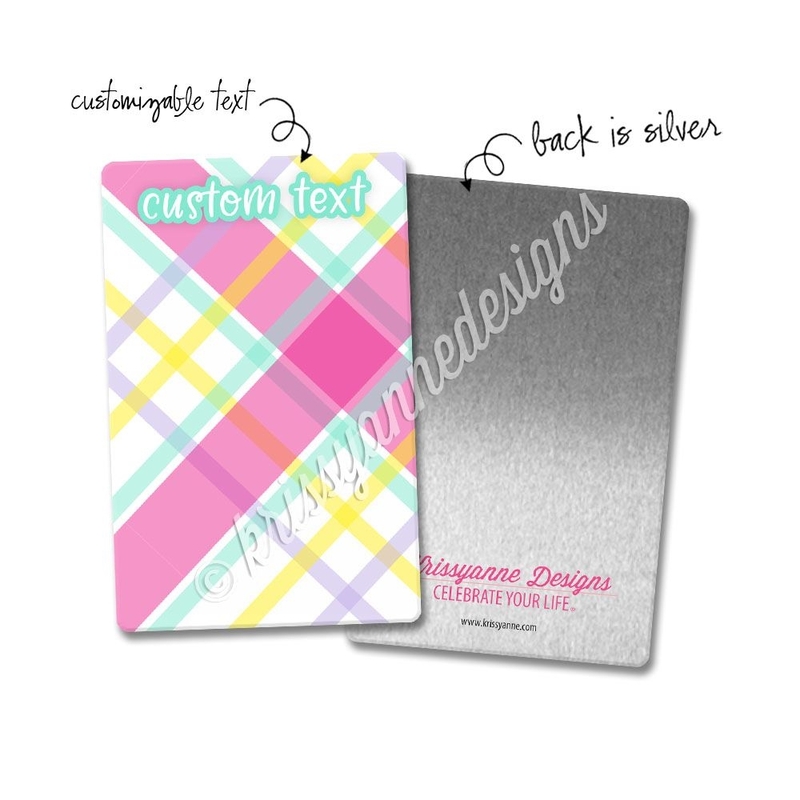 This bookmark features colors inspired by the February 2019 Quirky Heart Digest.